We have gone ahead and uploaded the full Adventure of Link Soundtrack to the Zelda Dungeon YouTube Channel. The image to your left is the background image and it was once again created by staff member Steve. However, the original background image was created by Melora of History of Hyrule. For those of you that are YouTube subscribers, you might have noticed that the entire soundtrack was uploaded, removed, and then re-uploaded. 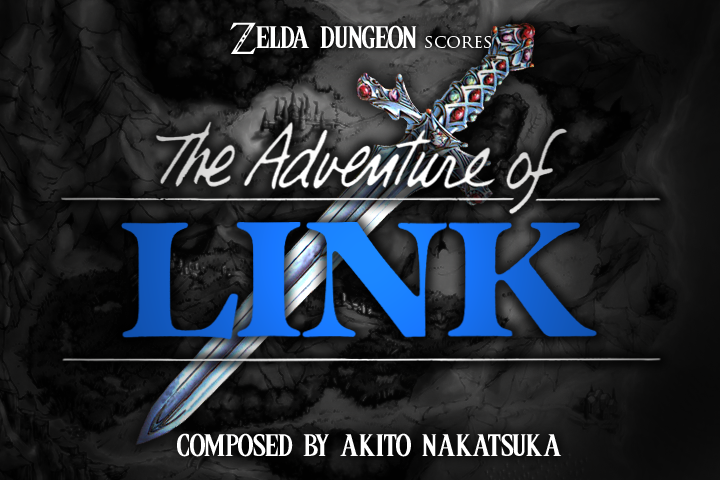 It turns out that we completely missed the fact that the legendary Koji Kondo was NOT the composer for the music for Adventure of Link and we incorrectly labeled that the first time around. The correct composer is the much less known Akito Nakatsuka. Hope you guys enjoy the music and be sure to check back for more music in the near future. We are currently looking into completely revamping how we currently offer and display our music soundtracks and downloads and that should be popping up in the next few weeks. Reminder – With music the hot topic right now, I want to remind you all that tomorrow we will be hosting a LIVE stream right here at the site where we will be counting down the Zelda Dungeon Top 25 Zelda Songs! The stream will begin at roughly 5pm US Central Time. A video will be embedded right here on the site along with an embedded chat room right next to it where you can interact with us. Following the countdown we will have a live stream of the Adventure of Link. It’s sure to be a fun day and I look forward to broadcasting. Hope to see you there.